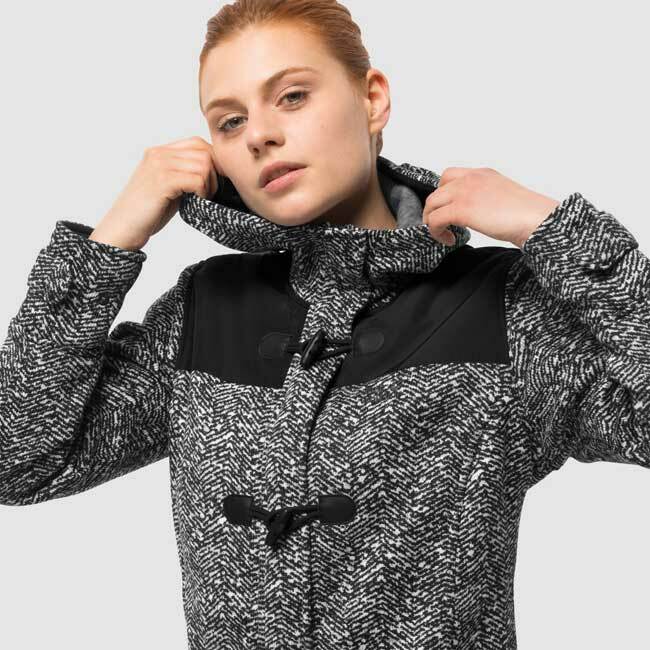 Jack Wolfskin ladies Belleville knit fleece jacket. 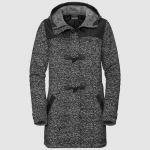 Ladies Belleville Duffle Coat Jacket by Jack Wolfskin side view. Plush Nanook 300 fleece inside the Jack Wolfskin ladies knit fleece jacket. 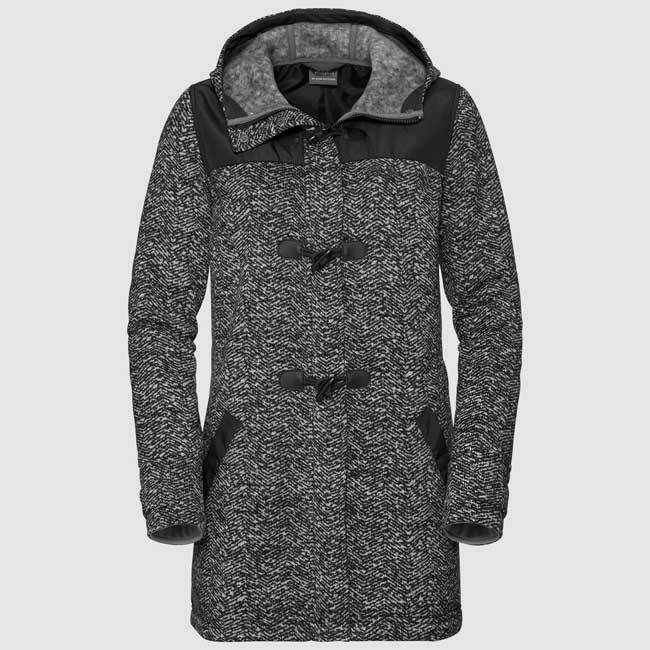 The BELLEVILLE duffle coat will keep you warm in the coldest of winters. 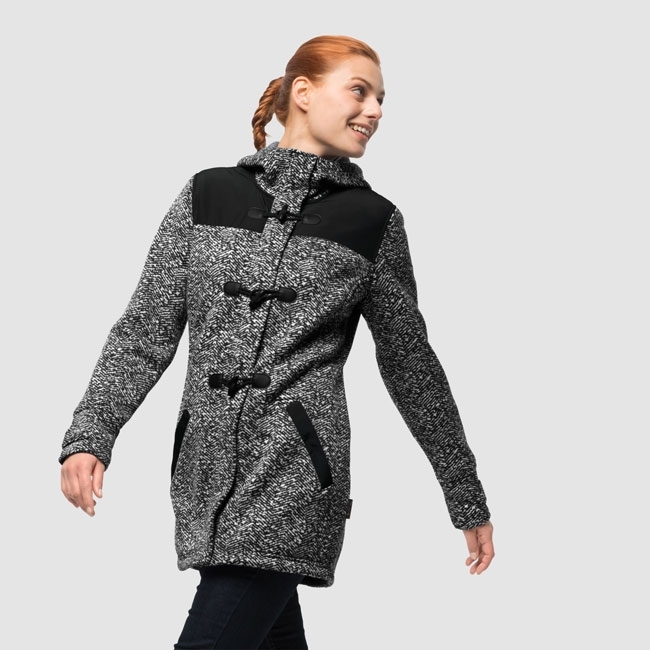 It’s made of a super warm knitted fleece fabric and has windproof shoulders. 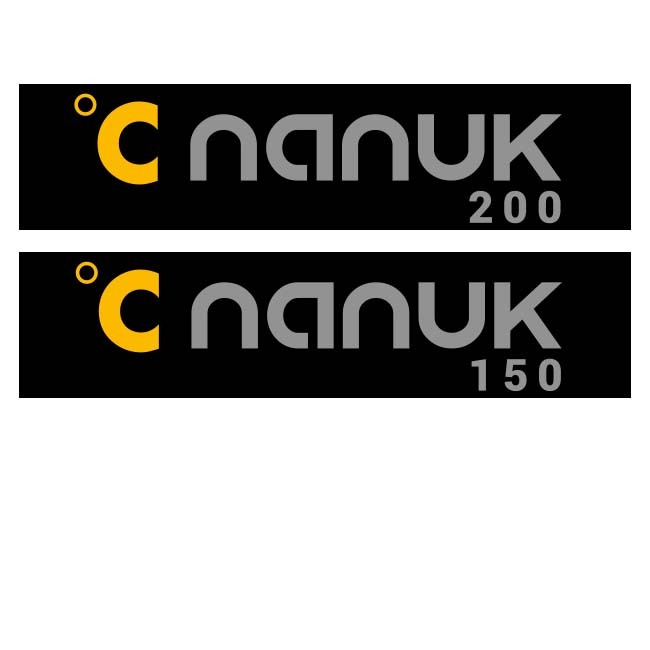 Wear it under your winter coat or on its own in milder weather. 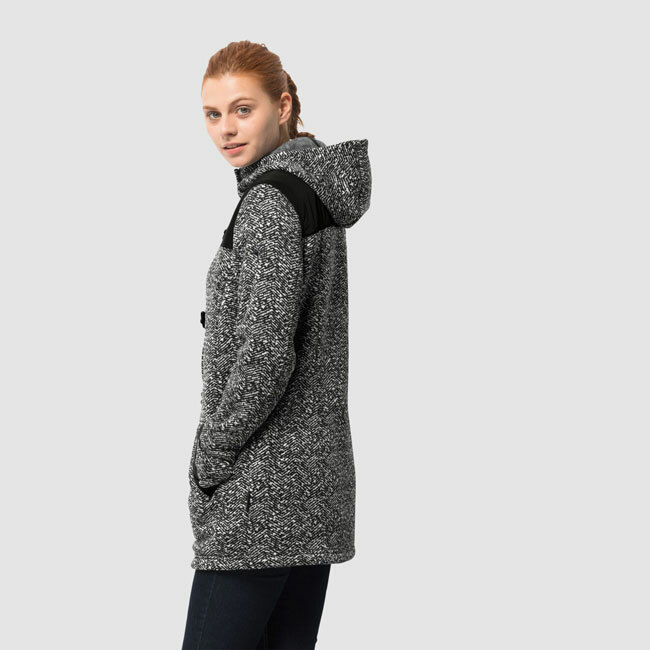 The hood and high collar provide added warmth. Machine wash with cold water and hang to dry. CHEST 82-86" 86-94" 94-98" 98"-106 106-110" 110-114"
WAIST 63-67" 67-75" 75-79" 79-87" 87-91" 91-95"
HIPS 87-91" 91-99" 99-103" 103-111" 111-115" 115-119"
SLEEVES 59" 59-60" 60" 61" 61" 61"